What is Semester at Sea? Semester at Sea is a global comparative-education program hosted by Colorado State University in which students travel around the world on a cruise ship that has been converted to a floating university. When I was 21, I set sail, and it is my dream to sail again many times more. I am a volunteer and advocate for Semester at Sea. As part of that work, I recruit international students to the program. 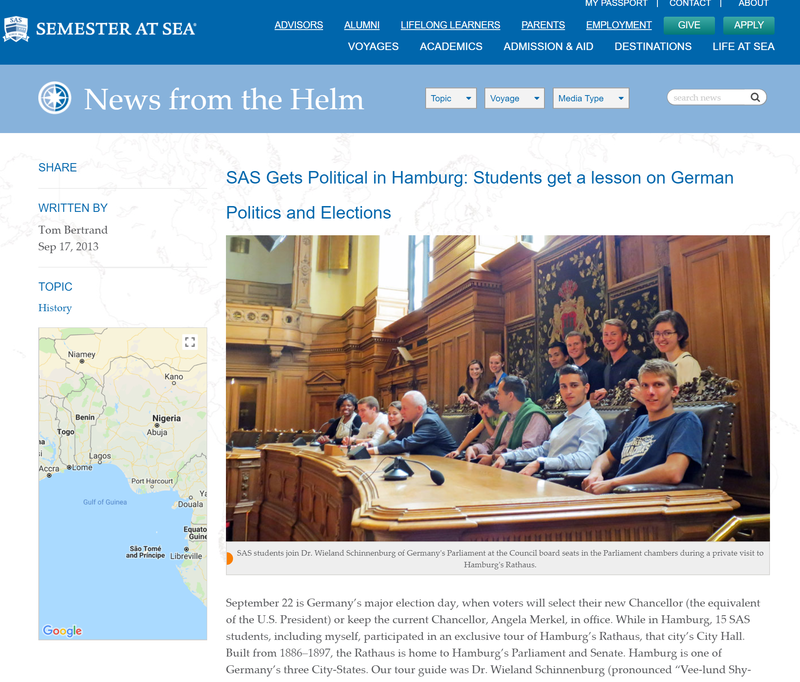 When the ship docked in Hamburg, Germany, during the 50th-anniversary voyage in 2013, I helped organize a visit to the parliament for students and facilitated press coverage in the German media. Here is the film made by NDR (German language). 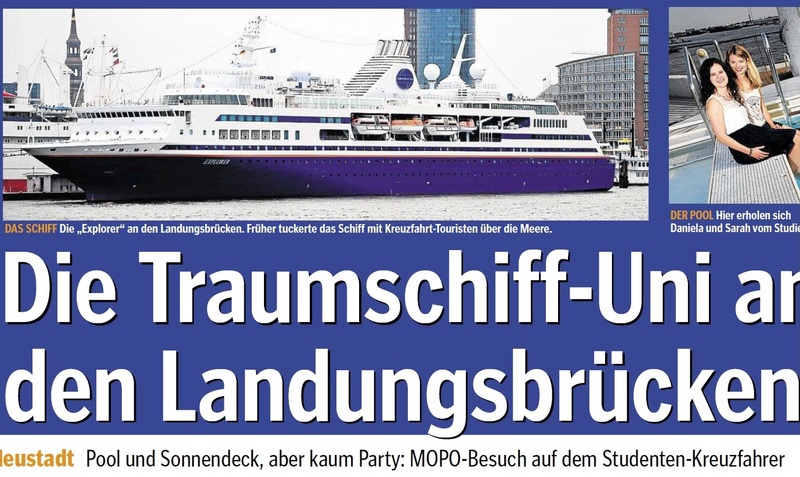 If you are a German undergraduate and interested in sailing, please contact me! A film crew came by the ship to meet students and staff.